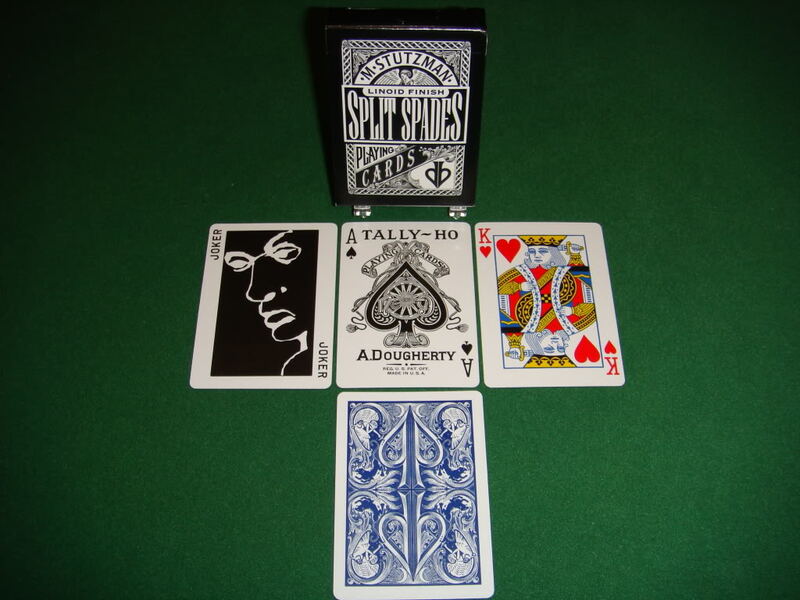 These are the original David Blaine playing cards, first commissioned by David Blaine and released to the market in 2005. 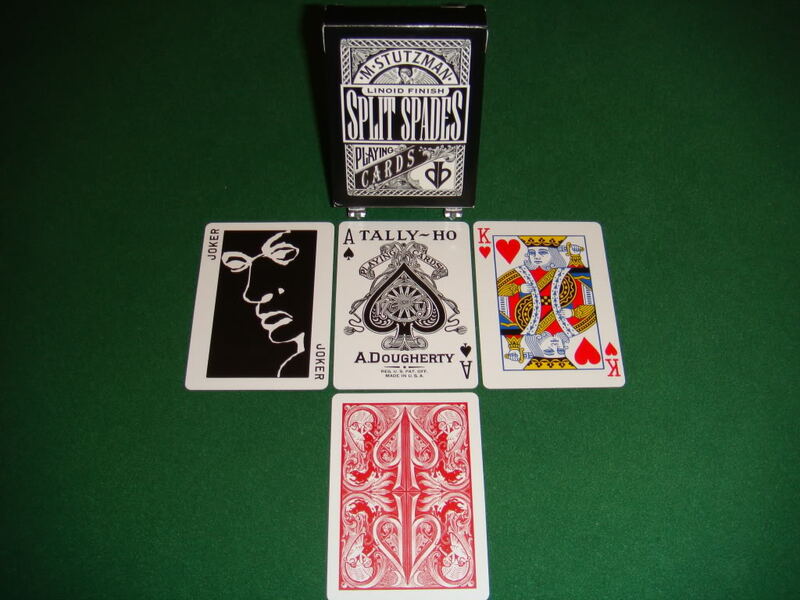 The cards have Tally Ho’s classic linoid finish and are used by David Blaine and other sleight of hand artists. The back design was created by illustrator M. Stutzman and features subtle two-way images. Look carefully and you can see the Angel putting the serpent to the sword and a tiger in the shadow of the flames. Some of the court cards feature special faces; The King of Spades is David Blaine, the Queen of Hearts is his mother, and the Queen of Spades is Lonneke Engel (a close friend). 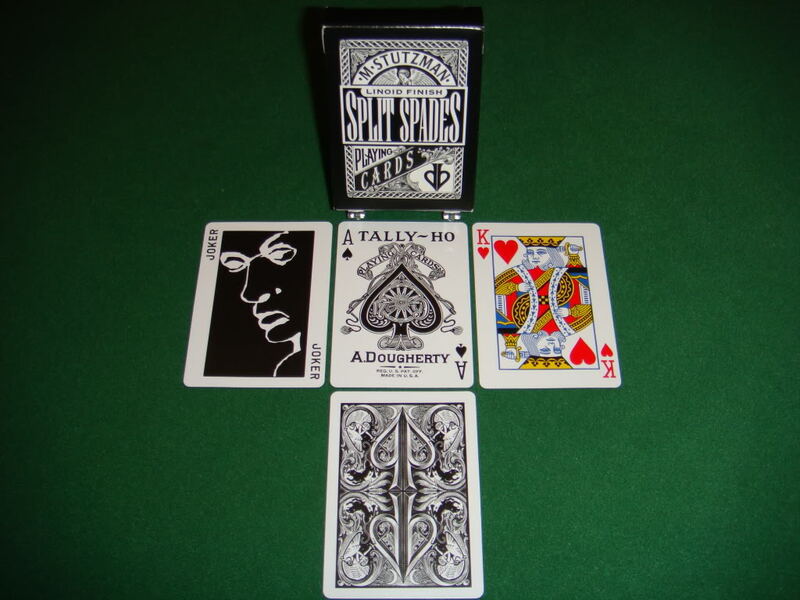 The Ace of Spades will be recognized by many as the classic Tally Ho AoS.